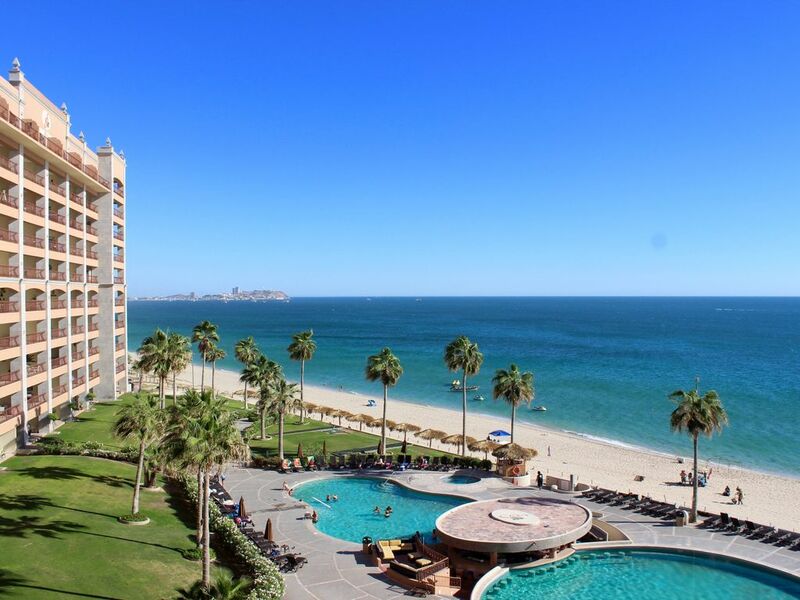 The terrace offers you privacy and security for you to enjoy a great view of the Sea of Cortez. The tile would roll in and out while you lay back and relax at the sound of it. Get a hot coffee in hand right at sunrise and walk out to your own balcony, breath in that salty air. This unit includes washer, dryer and ceiling fans all through the condo. Check availability and prices and book your dream vacations now. Paradise awaits you! For an expensive holiday stay....it was a mistake. Shower was very slippery and leaked all over the bathroom floor. Kitchen was poorly equipped, not even a sharp knife or a bottle opener. One ten inch skillet and six one quart sauce pans.....Gourmet cooking? Really? It was a nice view, I won't be back. 3 towels is all you get! What a rip -off. · Ice trays in this day and age? · Need TV channel guide (what stations are, NBC, CBS, etc? The last steaw, this morning, Saturday the 26th, the toaster did not work! Needs lamps in living area for reading. Overhead lights only. Only good thing -- the bed was very comfortable! Reservations should have mentioned the noise being present at this time. Terrible experience for our 50th anniversary. Upon arrival, the ice cube trays were empty, dishes in the dishwasher, blanket in the dryer (still damp). There were no napkins, one roll of paper toweling, no wash cloth and just two rolls of toilet paper. There weren't any tissues, the blender stopped working during use, the coffee pot overflowed with grinds, the salt and pepper shakers were empty, no sugar, no paper plates. Only one side of the toaster worked and on that side only one set of coils heated up. We had a bottle of wine to celebrate, only to find out the wine opener was all bent and broken. Now, if we had known that some of the aforementioned articles were not included, we would have brought our own. We went out and purchased paper toweling and toilet paper. The bed was very comfortable, but was supposed to be made at some time...never happened. This is the second review. For some reason, the first never got published.